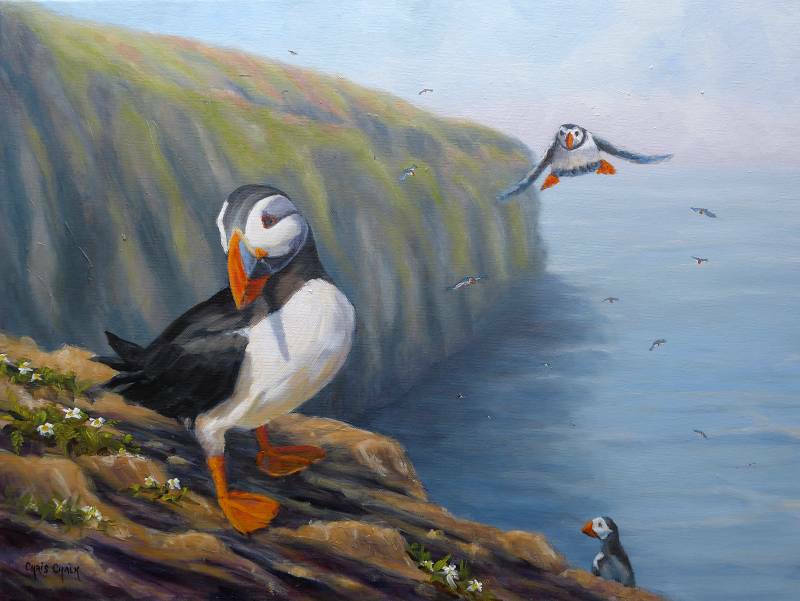 This painting in one of a series of Puffin paintings inspired by Skomer Island off the coast of West Wales. This scene is at 'The Wick', where there are so many puffins flying around it's hard to know where to look. 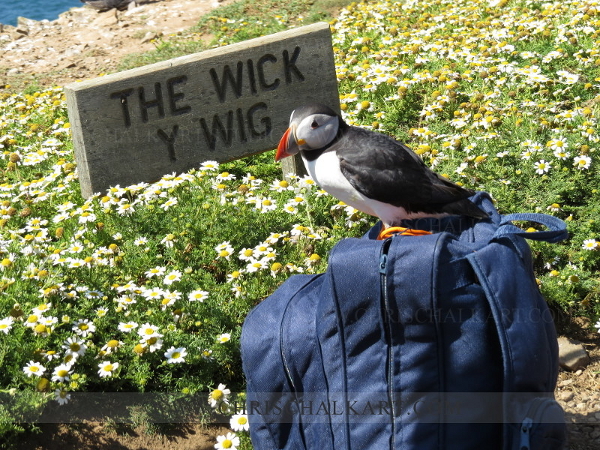 I had taken my Mother to Skomer this day and a particularly curious little puffin happily sat on her backpack for 5 minutes, looking at us, looking at him.. looking at us - see the photograph below. "Homecoming, The Wick, Skomer Island"
Painted on Loxley Gold stretched canvas, 24 inch x 18 inch x 1/3 inch - This painting can be framed or hung un-framed. Cheeky little puffin sitting on my Mother's backpack, Skomer island 2015. See lots more puffin photographs on my Skomer Island Puffin watching trip blog post here.